Governor Noem addresses those in attendance at the Stockgrowers' legislative mixer. The South Dakota Stockgrowers enjoyed a successful Legislative Day and Mixer offering South Dakota born, raised and harvested beef. The black hats headed to Pierre Wednesday, January 16, as the South Dakota Stockgrowers hosted their annual Legislative Day and Mixer, at Drifters in Ft. Pierre, SD. “The mixer is always one of my favorite days of the year, and this year did not disappoint. I really appreciate all the legislators, department heads, NRCS leaders, and Governor Noem, for taking time out of their very busy schedules to share their ideas, but maybe more importantly to take the opportunity to listen to what we are looking for during this legislative session,” said Gary Deering, President of The South Dakota Stockgrowers. “The afternoon seemed to fly by, and the amount of information was outstanding,” said Stockgrowers District 8 Director, Les Shaw from White Owl. “I really appreciate being part of an organization that can help get its members in front of the policy makers of our state,” added Shaw. After the informative afternoon, thanks to beef purchased from Wall Meat Processing, and the creativity of Drifters’ Chef Uriah Steber the Stockgrowers and guests were served heavy appetizers of South Dakota born, raised, and harvested beef. 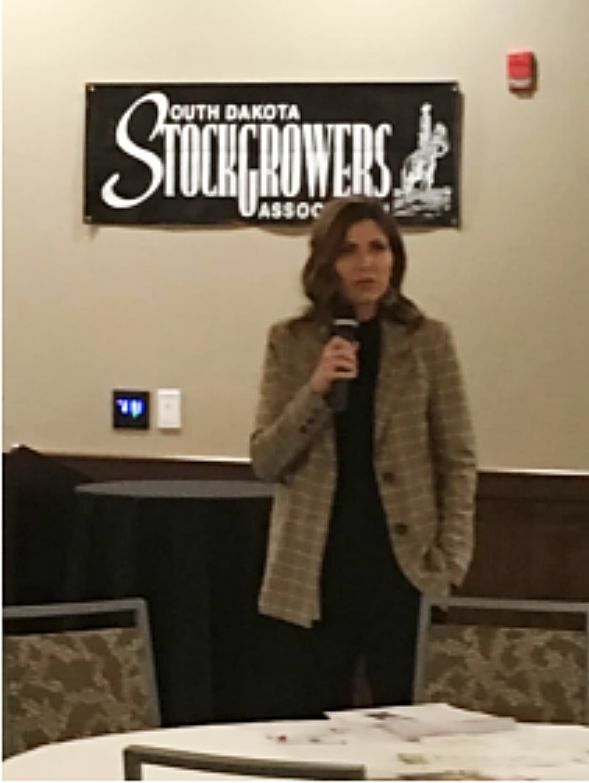 “This being my first mixer with The Stockgrowers, I found it to be such a useful way for our members, legislators, and department heads to truly get to know each other,” said James Halverson, Executive Director of The South Dakota Stockgrowers Association. “The interest and excitement throughout the evening has all of us very excited about this year’s legislative session,” expressed Halverson. 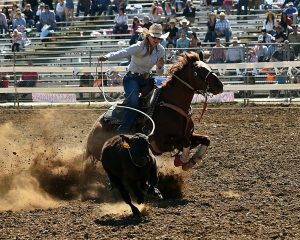 Property taxes, fake meat, brand issues, among many other issues will keep the Stockgrowers busy this year, and having their mixer at the beginning of the year always proves helpful going forward. “The Stockgrowers is such a membership driven organization, and we rely on our annual mixer to hear from our membership to help those of us who come to Pierre on a regular basis, speak for them,” said Deering. The Stockgrowers encourage everybody to call the office, visit their website, or “like” them on Facebook to keep up with everything they will be doing during the legislative session and other events. Every Friday during session Jeremiah M. Murphy shares his weekly report on bills of interest, which will get emailed out to all members. The Stockgrowers will be holding weekly conference calls, at 6:30 am, Mountain Time every Wednesday morning starting January 23, that are open to everybody to keep them informed with the happenings at the State Capitol. “We do our best to keep the lines of communication open with all of the Stockgrowers members. This legislative session has started off with a lot of excitement, and I am looking forward to the rest of it,” added Deering.